When we find news about recent viruses we’ll post a blog about them to let our readers know. How does rogue security software get on your computer? The “updates” or “alerts” in the pop-up windows call for you to take some sort of action, such as clicking to install the software, accept recommended updates, or remove unwanted viruses or spyware. When you click, the rogue security software downloads to your computer. Rogue security software might also appear in the list of search results when you are searching for trustworthy antispyware software, so it is important to protect your computer. What does rogue security software do? Rogue security software might report a virus, even though your computer is actually clean. The software might also fail to report viruses when your computer is infected. Inversely, sometimes, when you download rogue security software, it will install a virus or other malicious software on your computer so that the software has something to detect. Lure you into a fraudulent transaction (for example, upgrading to a non-existent paid version of a program). Use social engineering to steal your personal information. Install malware that can go undetected as it steals your data. Launch pop-up windows with false or misleading alerts. Slow your computer or corrupt files. Disable Windows updates or disable updates to legitimate antivirus software. Prevent you from visiting antivirus vendor websites. Rogue security software might also attempt to spoof the Microsoft security update process. Here’s an example of rogue security software that’s disguised as a Microsoft alert but that doesn’t come from Microsoft. Here are some sample videos we’ve found on the net showing peoples computers getting infections on their computers. The term computer virus represents a computer program which can replicate itself once installed on a computer. Most people will use the term “Virus” for most types of malware found on a computer. Some of these other types of software are called adware and spyware. Typically these are not viruses as they do not replicate themselves. To the author of ‪Elk Cloner‬, the first computer virus to be released outside of the lab, it’s sad that, 30 years after the self-replicating code’s appearance, the industry has yet to come up with a secure operating system. The fake Microsoft Security Essentials Alert is a Trojan that attempts to trick you into thinking you are infected so that you will then install and purchase one of 5 rogue anti-virus programs that it is distributing. When the Trojan is run it will masquerade as an alert from the legitimate Windows Microsoft Security Essentials Program anti-virus program. This alert will be titled Microsoft Security Essentials Alert and states that a Trojan was detected on your computer. It will list this Trojan as Unknown Win32/Trojan and state that it is a severe infection. It will then prompt you to clean your computer using the program in order to remove it. When you click on the Clean Computer or Apply actions button, it will state that it was unable to remove it and then prompt you to scan online. If you click on the Scan Online button it will distributing rogue programs The Trojan Will then Install one of the below fake antivirus programs Windows Risk Eliminator Windows Utility Tool Windows Shield Center Windows Universal Tool Windows Health Center Windows Problems Remover Windows Problems Protector Windows Antispyware Solution Windows Security & Control Windows Optimization & Security Windows System Optimizator Red Cross Antivirus Peak Protection 2010 Pest Detector 4.1 Major Defense Kit AntiSpySafeguard or AntiSpy Safeguard Red Cross Antivirus Peak Protection 2010 Pest Detector 4.1 Major Defense Kit ThinkPoint AntiSpySafeguard or AntiSpy Safeguard. Seemed harmless enough. 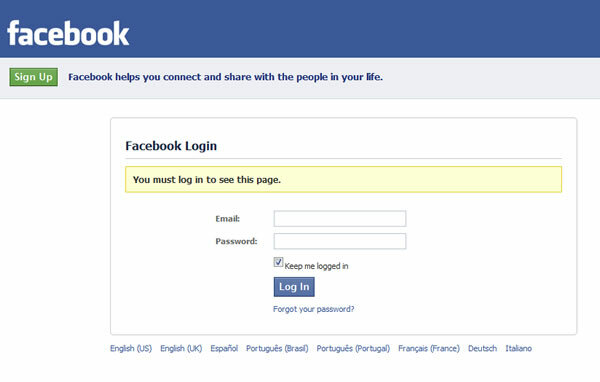 So I go to album90.com and you’re presented with a Facebook login screen. I’m thinking, I’m already logged in to Facebook so why am I getting this message. So I entered in a bogus email address and a fake password and it let me on through. And this was the following page. Just an image of apparently someone’s graduating class. Album90 dot com appears to be a phishing site. What’s a phishing site? It’s a site that is set up to resemble a trusted site, where you would normally have to log in to. Only when you enter in your personal information it gets recorded. Then at some point in time, the person who set up the site now has your login information for whichever site they tried to make it look like. I put in my real login information! What do I do? Change your passwords immediately! In this case, go and change your Facebook password. And since a lot of people like to use the same password for everything, if you used the same password for your email address that you use for Facebook, then you probably should change that as well. The other thing you should do is report the site. To report the site to Google visit Report Phishing Page. Enter in the Captcha code. In the comments field you might want to write. 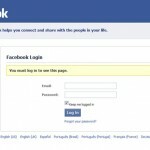 The site is phishing for Facebook logins. The original site was album90.com but it gets forwarded to the link above. It appears as those both the about90 dot com site as well as the redirect link http://www.facebook.com.login.php-profile-signin-qhwfpxzy.htisp.com/index.php?s=dot have been taken down. So if you happened to get snagged by these people, please make sure to changes your passwords as soon as possible. Otherwise, you should hopefully not get any Facebook messages asking you go to about90 dot com.